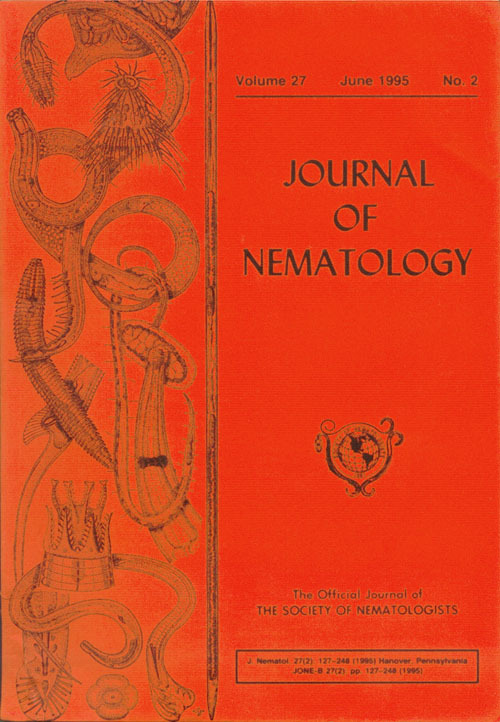 I’ve been notified this week that I’ll be serving as an editor for the Journal of Nematology. It makes me very happy to have the opportunity to serve the Society of Nematologists, which has been an important part of my career since my first work on nematodes (my first scientific meeting was the 1997 SON meeting in Tucson) and will undoubtedly continue to be in the future. Though it adds a little to a busy schedule, it is going to be interesting to be on this side of the review process. I’ll be serving as the subject editor for taxonomy papers submitted to the journal. Pictured to the left is a bad scan of one of the old-school orange covers, for those nostalgic nematologists out there.